Society’s most challenging problems cannot be solved by government and nonprofits alone. By harnessing the power of business, B Corps use profits and growth as a means to a greater end: positive impact for their employees, communities, and the environment. The B Corp community works toward reduced inequality, lower levels of poverty, a healthier environment, stronger communities, and the creation of more high quality jobs with dignity and purpose. The number one baby food brand in the UK improves children’s lives through developing a healthy relationship with food. This award-winning brewery's delicious beer is brewed with unsold loaves from bakeries and unused crusts from sandwich makers. They give 100% of profits to Feedback, an environmental charity campaigning to end food waste. This healthy snacks company is one of the fastest growing independent businesses in Europe and the number one premium popcorn brand in the UK. This IT company provides support and services to impact organisations. They also create training and employment opportunities for people who might not otherwise have the chance. Is Danone a B Corp? Danone – and other big companies – are on the B Corp journey. Danone’s Chief Executive Officer, Emmanuel Faber, has publicly committed to a longer term goal of certifying Danone’s global operations as a B Corp; in the meantime, a number of Danone’s subsidiaries have already certified as B Corps, and many others are going through the process of measuring their environmental and social impact with a view to certification as well. The largest B Corp in the world is Danone North America and in the UK one of the largest B Corps is Danone’s fresh dairy products. B Corp is a certification. Benefit Corporation is a legal form. Benefit corporations and Certified B Corporations are often confused. The B Corp Certification is a third-party certification administered by the non-profit B Lab, based in part on a company's verified performance on the B Impact Assessment. The benefit corporation is a legal structure for a business, which exists in 34 states across USA, Italy and Colombia. Benefit corporations are legally empowered to pursue positive stakeholder impact alongside profit. Some companies are both Certified B Corporations and benefit corporations, and the benefit corporation structure fulfills the legal accountability requirement of B Corp Certification. Learn more about the legal form in the UK. What role does the UK Government have in supporting the B Corp movement? Government is part of the solution. By procuring goods and services from companies, such as B Corps and social enterprise and businesses, which are focused on and are able to account for the broader social and environmental impact they create. The Welsh Government has led the way globally here by enacting the Wellbeing of Future Generations law. This requires that all procurement decisions from public bodies consider the implications on current and future communities and citizens. B Lab UK will continue to lobby for this long term, inclusive approach to be implemented and accounted for in public procurement strategies. By creating a new legal form in primary legislation which is designed to serve the interests of all, not a few. By ensuring that companies measure their impact on society and the environment and report on it to their customers, clients, and to all their stakeholders. This enables them to feel authentically served by the company they work for, shop with, invest in or partner with. By combining support for certification of B Corps with improved accountability of all companies, it will become easier to identify those companies that are committed to creating benefit from all from those who merely talk about it. Through this approach, we expect that businesses that create a negative impact will be exposed and forced to reform. What is the difference between a B Corp and a Social Enterprise? We’re different, but highly aligned and sing from the same song sheet. First of all, let’s define B Corps. B Corps are for–profit businesses which commit to create a material positive impact on society and the environment through their operations. They may certify as a B Corp by earning points on the B Impact Assessment either / both by directly addressing a social or environmental need as their core revenue stream; (i.e. through what they do - such as providing a service which tackles a particular social or environmental need e.g. Big Issue); and / or by how they do business (such as how they support their staff, their community and whether and how they measure and seek to reduce their environmental footprint etc in their operations, e.g. COOK). There are points in the assessment accorded to both of these dimensions and there are many permutations in how the threshold score of 80 points can be achieved. This allows for a broad range of businesses from over 150 industries to be part of the B Corp movement. In the UK, we are fortunate to have such a developed concept of social enterprise and an active community of businesses who are focused on achieving better outcomes around social and environmental areas. For further details on the criteria to meet the UK social enterprise definition, including the required use of profits and asset locks, see the SEUK website. So whilst there may certainly be some social enterprises that also certify as B Corps, the majority of B Corps in the UK would not self-classify as social enterprises under the UK definition. B Lab’s focus is building on the powerful examples of social enterprises and extending it to support mainstream businesses that give the same rigour to their social and environmental impact as they do to their financial returns. We see this as a great opportunity to make a difference at scale and by doing so, to reinvent the role of business in society. How easy is it for a B Corp to raise capital or be purchased by a larger mission led company? Can being a B Corp help you scale? Yes, being a B Corp can help you scale. US tertiary education company Laureate was the first B Corp to go public and raise capital via an Initial Public Offering (IPO) in 2017. It raised $430m through Nasdaq and a further $380m from private equity firms such as KKR. 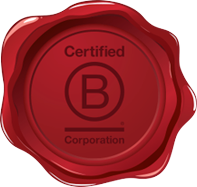 The B Corp certification was seen as an attraction as the value of the impact focus was recognised by investors. We also see an interest in comparatively smaller, newer B Corps, (such as Pukka Herbs and People against Dirty), being purchased by larger more traditional companies (such as Unilever and SC Johnson respectively). This benefits both parties: the purchaser recognises the value of the B Corp certification in attracting and retaining talent and in its appeal to a wider customer base, and the purchased company is offered a route to exit whilst ensuring that the mission of the company is protected. Could an oil company become a B Corp? Any business can become a B Corp as long as it meets the criteria. The B Impact Assessment enables a business to measure and manage its environmental and social impact. The assessment and review process delves further using the Disclosure Questionnaire and our own Due Diligence to ensure that there is no material breach of the interdependence code that must be signed for certification. This code commits B Corps to creating a positive impact for people and planet whilst generating profits. Our Theory of Change is that any company that is committed to creating social and environmental impact, whatever their previous activities, can consider certification. B Lab needs to assess whether an oil company has already put in place an alternative which creates a positive impact on the planet, such as substituting renewable energy sources for fossil fuels. B Lab will be considering how significant this is in its entire business operations, the extent to which this transition has already taken place, and whether the culture and processes are in place to ensure that this direction of travel is maintained and enhanced. We would not expect such a transition to happen quickly but it would be a journey we would welcome any company to go on. For more on a future scenario where Exxon is a B Corp – check out this Forbes article from Paul Klein.